This is our most scandalous episode yet. We discuss the month’s biggest controversies and OMG! moments, including #RITAsSoWhite, #BagelGate and Shangela. Who exactly is RITA and what’s her problem? Why aren’t authors of color getting the shine they deserve? Why can’t the RWA just set fire to the whole award season? We try our best to answer these questions, but tbh, we don’t come away satisfied. Also, earlier this month, we asked y’all to share your unpopular book opinions. And, boy, did you deliver, bringing shade for a whole bunch of tropes, books and authors. Thanks to all who answered this month’s chat! Be sure to read up for our next episode, My Sister, The Serial Killer, by Oyinkan Braithwaite. 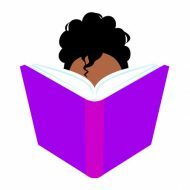 I rarely have read anything by the authors nominated for the Rita Awards and I read a lot of romance by women of color, especially black women. I’m glad they continue to get called out. I want the recognition for the authors I support but I also don’t need the Rita Awards to lend legitimacy to their body of work. I haven’t had Twitter since 2013 but I’m gonna have to get back on or something cause I’m missing all the good drama. I’m here for a Beverly Jenkins or Courtney Milan clapback lol. I’m late but my comments on YA is that I really dislike the genre because there is always a sequel! I used to dabble in YA fantasy but it was like every standalone somehow becomes duology, then a trilogy, and then there are five books in a series for no reason! I’m specifically referring to the Three Dark Crown Series but I could go on. Actually, George R.R. Martin ruined it for me and YA could be an innocent bystander but unless the series is completed, I’m not reading it.I’m not here for it anymore lol.